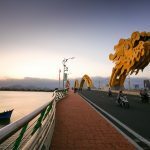 DANANG – Danang’s Department of Tourism on June 26 announced that in the year to date, international arrivals to the central coastal city of Danang had rocketed by some 50% year-on-year to an estimated 1.6 million out of over four million tourists to the city. Tran Chi Cuong, deputy director of the department, said that although accurate data had yet to be gathered on international tourists to Danang in the first half of the year, South Korean visitors have accounted for half, skyrocketing by 100% year-on-year, while the number of Chinese travelers have reached 368,000, up 36% and representing 23% of the total. In recent years, Danang has seen a large influx of South Korean and Chinese tourists, achieving substantial revenue from tourism services, Cuong said. But he voiced concerns over the rampant development of low-cost tour operations, saying it had left negative impact on the tourism environment, service quality and tourists’ rights and benefits. 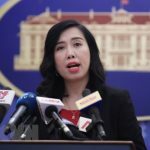 “We sent a report on proposals to tighten and control low-cost tours,” Cuong told the Daily, adding that focusing on Europe and India as major source markets is a necessary solution. Besides this, airlines, travel firms and authorities at Danang International Airport should map out a general plan to launch air routes to new source markets, Cuong stressed. Danang is currently home to nine airlines operating 170 weekly flights in total from Danang City to the South Korean destinations of Seoul, Busan, Incheon and Daegu, as well as direct air services from Danang City to China, Thailand and Malaysia. Statistics show that in the first six months of 2018, the number of tourists traveling by air to Danang surged by over 40% against the year-ago period to an estimated one million. The city welcomed 62 cruise ships docking at Tien Sa port, with some 65,000 guests, up 23% year-on-year. 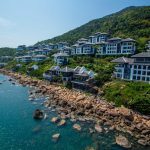 Danang has 3,650 tour guides, including 1,210 local guides and 2,240 international ones, 320 travel firms and 720 lodging facilities with 31,531 guest rooms, up 103 facilities with 7,522 guest rooms year-on-year. 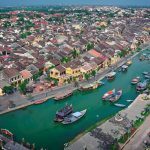 The popularity of Hoi An, which has been a top tourist destination in Vietnam for decades now, continues go grow. South Koreans, one of the biggest contingents of foreign tourists to Vietnam, are heavily favoring Da Nang City as a summer destination this year, according to the Ticket Monster website. Ticket Monster Inc., one of the largest travel booking sites in South Korea, has named the central coastal city among top 10 places of choice by families and couples this summer based on the number of bookings in the next two months, said Seoul’s Yonhap news agency. Da Nang, home to Asia’s most beautiful My Khe Beach and a neighbor to the popular ancient town Hoi An, came in second on the list, followed by Tokyo, Bangkok and the U.S. territory of Guam. The Japanese city of Osaka topped the list compiled by the website. South Koreans are expected to surpass Chinese tourists and become the biggest group of visitors to Da Nang in the near future. Vietnam’s third largest city has welcomed 538,000 South Korean tourists so far this year, accounting for a third of total foreign arrivals in the city, according to the municipal tourism department. Apart from long and beautiful beaches and breathtaking natural landscapes, an open visa policy is also a big draw among South Korean holidaymakers. Vietnam offers a 15-day visa exemption for visitors from South Korea. As many as eight airlines are operating services between Da Nang and South Korea, with a frequency of 84 flights every week.